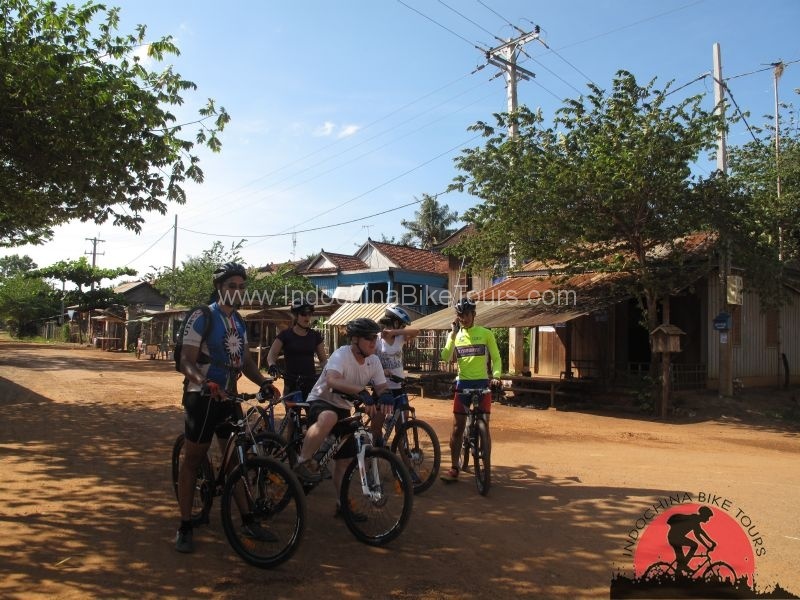 Cycle along quiet back roads and abandoned railway lines to Oudong Mountain while experiencing classic friendly Cambodia village life. 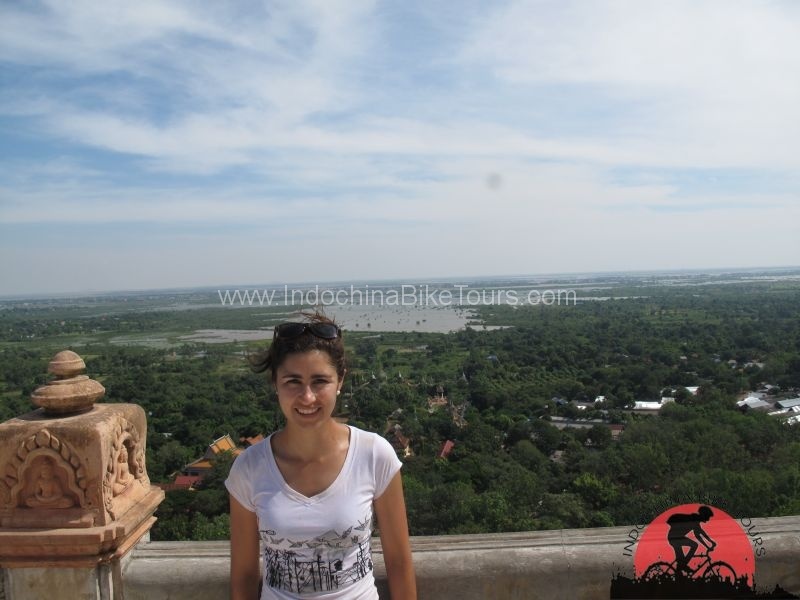 This trip runs from Phnom Penh. 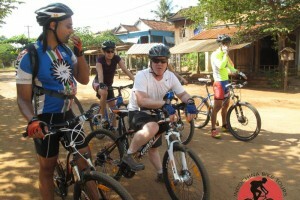 This is a great full day of activity for those who ride regularly. 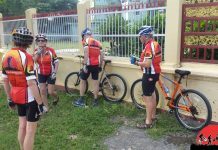 We take a ride past the old railway station (recently restored) and with a few pedal strokes we are in the open spaces among rice fields and villages. 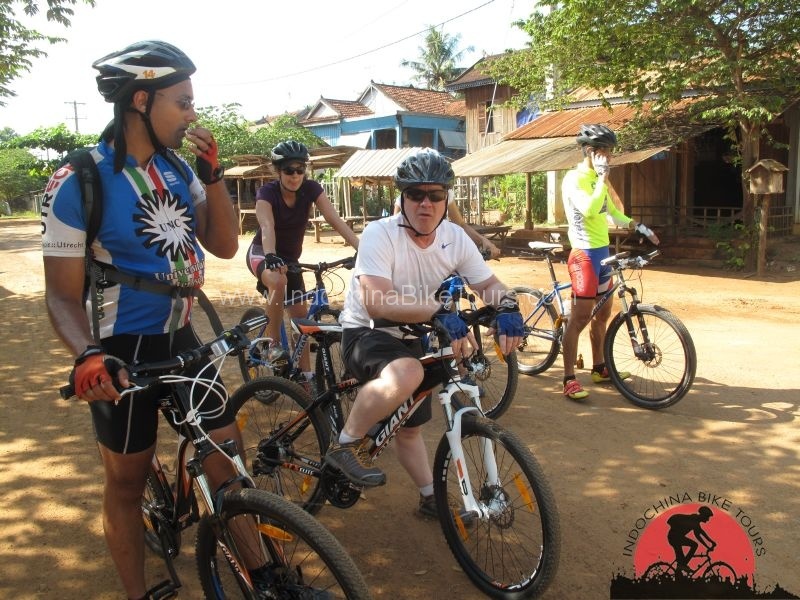 We ride on small trails and back-roads with friendly people waving to us as we go. 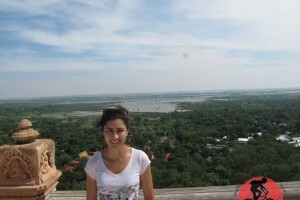 We reach Oudong Mountain around lunch time and after visiting the hill-top temple on what was once the capital of Cambodia, we have a picnic lunch. We then take a ride on a remorque back to town. 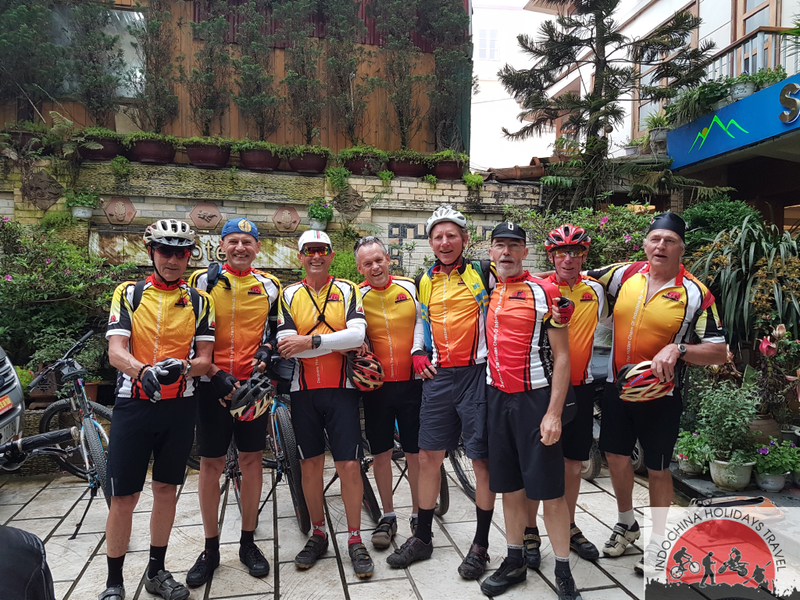 If you have a reasonable level of fitness and do some occasional riding, then this ride should be perfectly achievable and enjoyable. 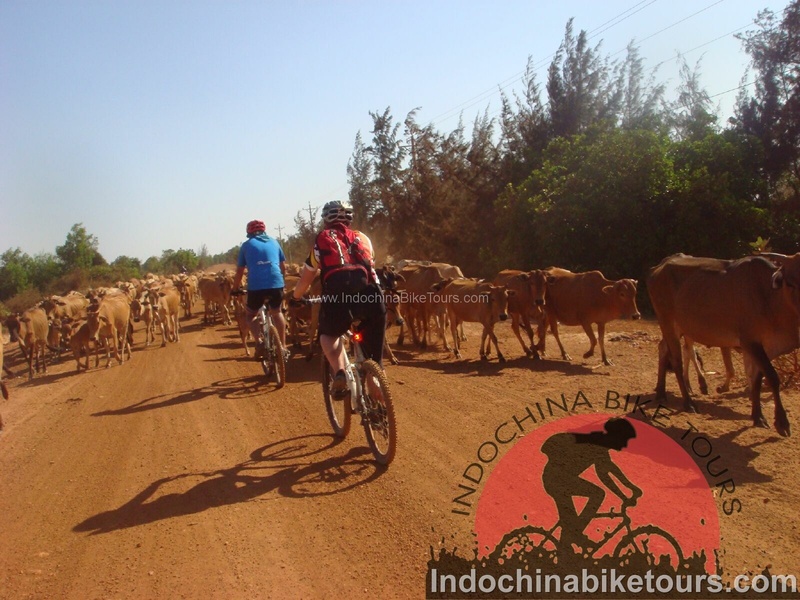 The distance is approximately 60km on mainly flat tracks and small roads. 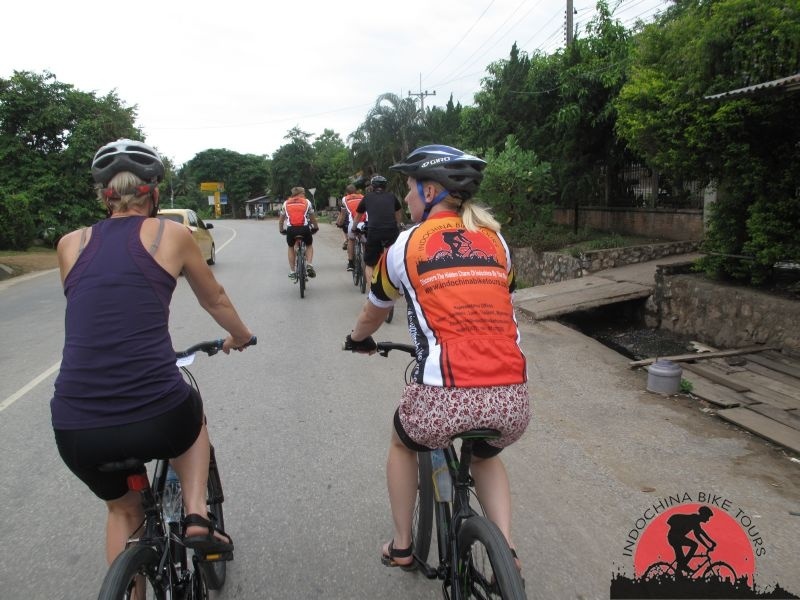 Pick up at your hotel at 8:00 AM and cycle along quiet back roads and abandoned railway lines to Oudong Mountain while experiencing classic friendly Cambodia village life. 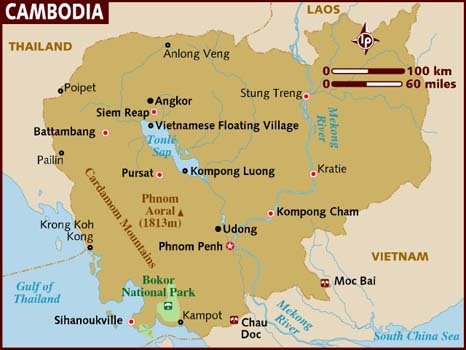 This trip runs from Phnom Penh. Your ride starts along the railway tracks out of the city. If we are lucky, we may see a great Cambodian invention, the Bamboo Train. This serves as a local railway in the absence of the real thing. As we leave the railway we will see some of the villages populated by people relocated from some of the major project areas in the city. As we leave the shacks and railway tracks, we find ourselves in some of the most beautiful countryside which goes through a cycle of colours depending on the season. bright green rice paddies or yellow fields ready for harvest. 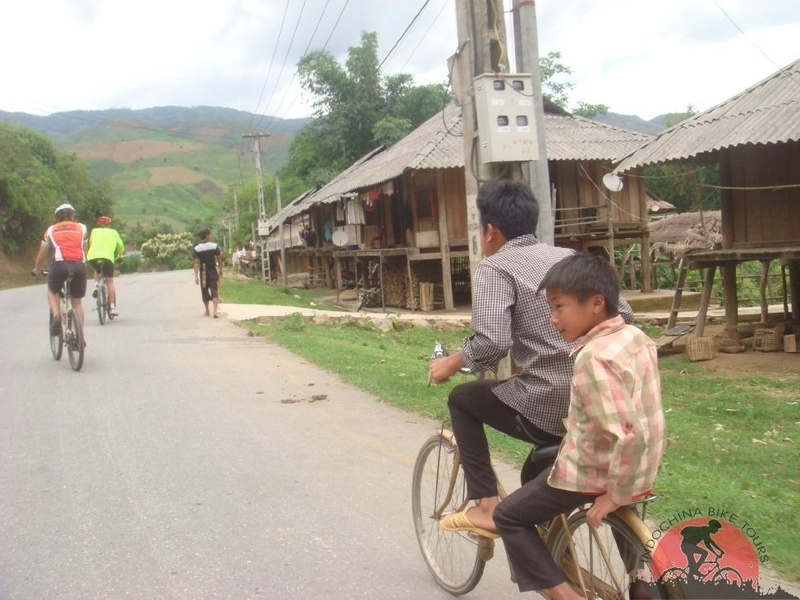 Small villages punctuate our path with groups of curious, waving children. 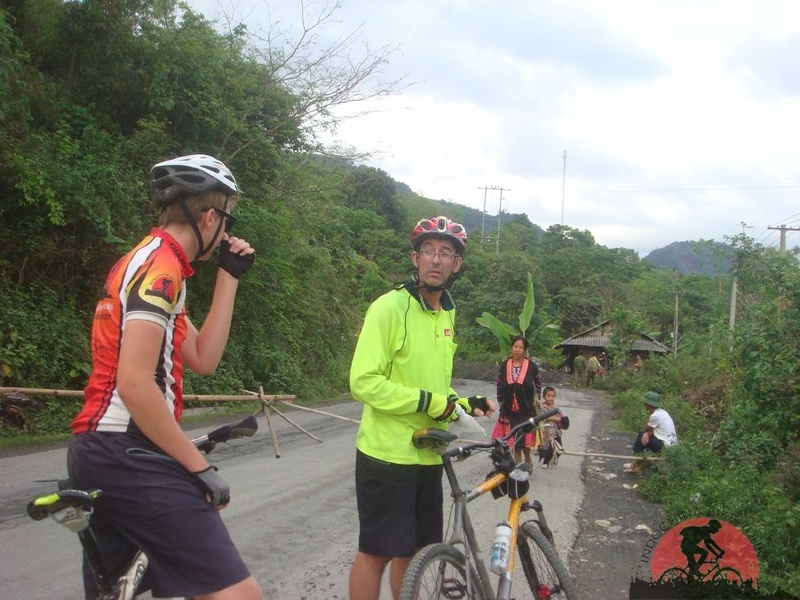 We arrive at Oudong Mountain around lunch time. 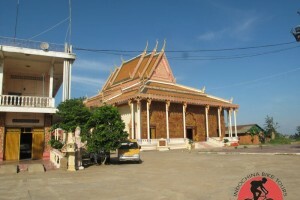 This towering temple is perched on a mountain that was the capital of Cambodia for around 200 years until it was moved to what is now Phnom Penh. 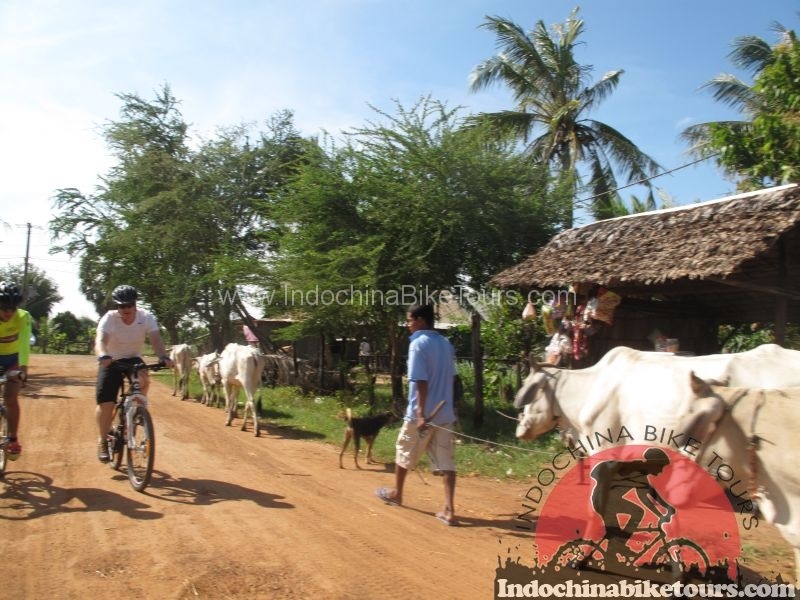 Enjoy lunch here before we ride a little further to the highway and take a motor bike powered trailer ride back to Phnom Penh. This is how many factory workers travel to and from work every day and is a bit of fun to finish our day with.